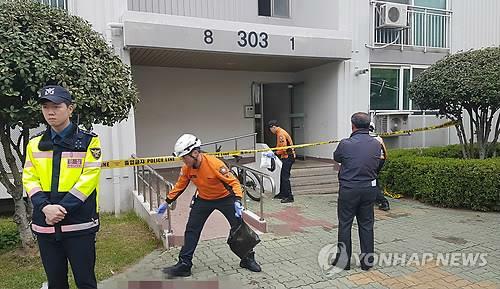 SEOUL, Oct. 31 (Yonhap) -- South Korea and Japan will start working-level talks in Tokyo this week aimed at reaching an understanding on a intelligence sharing deal, the defense ministry said Monday. 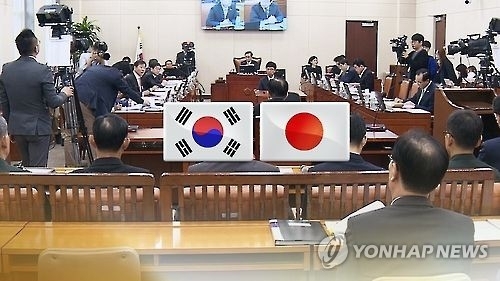 In the talks set to begin on Tuesday, "The two sides will discuss a wide range of issues such as future meeting schedules and agendas," an official at the Ministry of National Defense said. Last week, the two neighbors agreed to reopen talks on a bilateral General Security of Military Information Agreement (GSOMIA), with the goal of concluding the pact by the end of the year. The U.S. welcomed the decision, saying the potential deal between its two Asian allies would bolster cooperation amid growing threats posed by North Korea. The communist regime has escalated saber-rattling with its nuclear and missile development programs. It conducted two nuclear tests and launched a series of missiles this year. In 2012, Seoul and Tokyo were close to a deal on sharing military information, but the negotiations ultimately fell through due to negative public sentiment in South Korea about signing such a pact with its former colonial master. Korea was a colony of Japan from 1910 to 1945. In an effort to get around the historical hurdle, the U.S. led efforts to conclude a trilateral military information sharing agreement with South Korea and Japan, and the memorandum of understanding, signed in late 2014, enabled Seoul and Tokyo to share intelligence via the U.S. Despite the trilateral deal, U.S. officials have called for a bilateral pact between Seoul and Tokyo as they seek to bolster three-way security cooperation with the two allies as a counterbalance to China's rise. Such efforts got a boost from a landmark agreement between South Korea and Japan in late December on resolving the issue of Japan's wartime sexual slavery, a major thorn that had soured not only relations between the two countries but also three-way cooperation with the U.S. Currently, Seoul maintains military information sharing pacts with 32 countries. It has recently asked China to start talks on a deal meant to share military intelligence, a move to better counter North Korean threats. But China has not shown any response to the request yet, the ministry said.